11/23/2018 by Lauren Huff , Associated Press, published by The Hollywood Reporter. The event was billed as golf’s first pay-per-view broadcast, but it was marred by issues, with some viewers unable to view it on their televisions after paying $19.99. 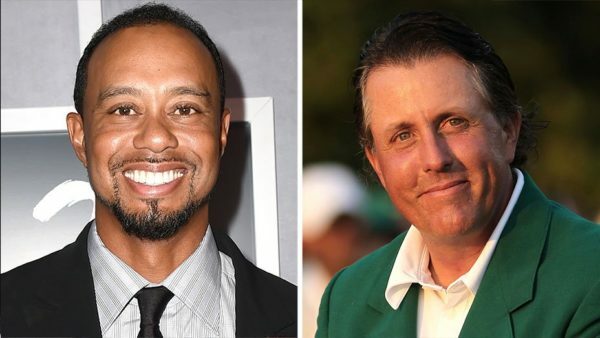 Golf fans were able to watch a free match between Tiger Woods and Phil Mickelson on Friday. The event was touted as golf’s first pay-per-view broadcast, but it was marred by technical difficulties, with some viewers unable to view it on their televisions after paying $19.99. Turner and Bleacher Report representatives later sent out links on social media allowing people to view it for free on their computers and mobile devices. According to ESPN, the issue was with the platform’s purchasing mechanism, which made it hard for fans to purchase the match. Per the report, it is unclear if Turner users who had paid in advance will get credited for the match. Other carriers who charged for the event — including Xfinity, DIRECTV and AT&T — were not impacted by the technical issues. I would not spend 20 dollars to watch any golf game or for that matter any sporting event. Or for that matter anything on any screen beyond the exorbitant cable and internet fees I already pay.